Driving along a winding, narrow cliff, a 1300-foot drop on the driver’s side, I clung to my heart, with the rest of me halfway out the passenger-side window. Hiking slick rock at seemingly a 90-degree angle, I came to a visual wonder, and understood why so many made the climb. Gaping at high cliff walls adorned with sharp pinnacles leaping skyward, it looked like the earth had been splashed with multi-hued red dyes, all running together. Such is life among the five national parks of southern Utah. 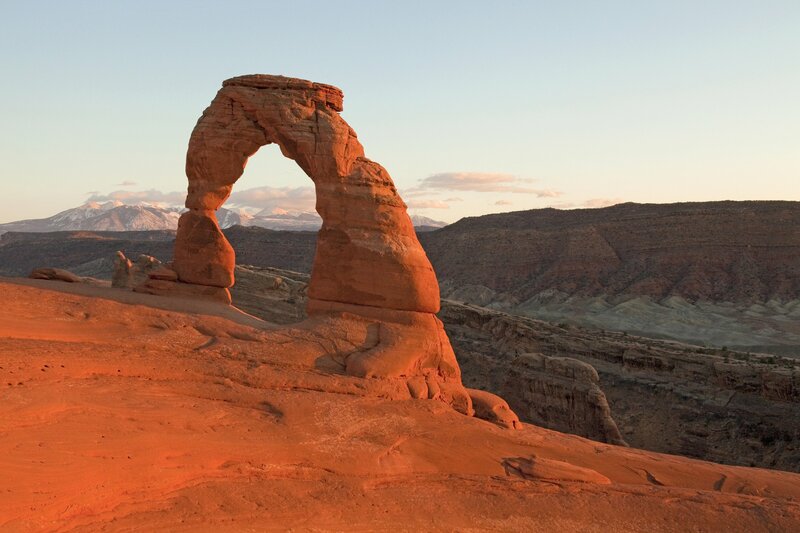 Arches, Canyonlands, Capitol Reef, Bryce and Zion share many commonalities, including uncompromising splendor, history of both the earth and the country, and a sense of personal sanctuary. And then there are their differences! These five mystical worlds have been created over millions of years by the movement of the earth, water and wind, rain and drought, freezes and thaws and, especially, erosion. Even today, these same elements continue to change the face of the parks. After more than 150 million years, they are still works in progress. Still, after rounding the final obstacle, the only word that emerged with what I was sure was my final breath, was “Wow.” Leaving Delicate Arch, I was able to focus on the beauty of the surroundings. Going up, I could concentrate only on putting one foot in front of the other. Nearby Canyonlands requires a 4-wheel drive vehicle –- preferably with a driver. At 6000 feet, the view from Island in the Sky looks down at cliffs 2000 feet tall, arising out of a magnificently gouged and painted landscape. The panorama at Grandview Point is unequaled in terms of sheer expanse, providing a broad view over the entire park, stretching across countless canyons -– and beyond. 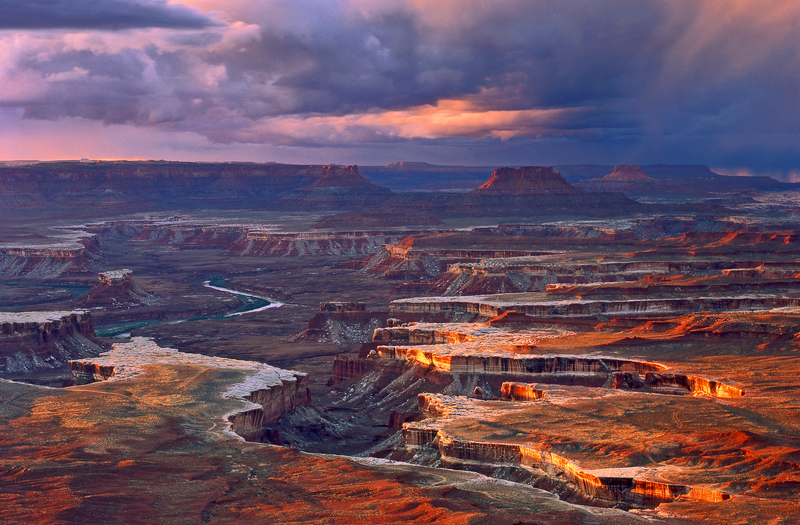 Indeed, Canyonlands is a series of spectacular views strung across hundreds of miles of remote wilderness. Suffice it to say, “Scenic Overlook” signs are redundant. The highlight of the park, for me, was the Shafer Trail. The dirt road, rough in spots, very rough in others, is bordered on one side by perpendicular cliffs; on the other, the afore-mentioned sheer 1300-foot drop. Riding along the very narrow, bumpy ledge, I found myself leaning far to the right in the hopes of influencing the car further in that direction. Even so, I managed to appreciate the other-worldly landscape we were passing. Halfway down, the mountain on our right was so high I could barely see its top. On the other side, the drop to the vast valley below was vertigo-inducing. The drive itself -– in lowest gear -– is slow-going. Bouncing up and down and rocking side to side 2000 feet above any sane person’s comfort level for four hours, you can lose several pounds without ever leaving the car. A plus, as I saw it. 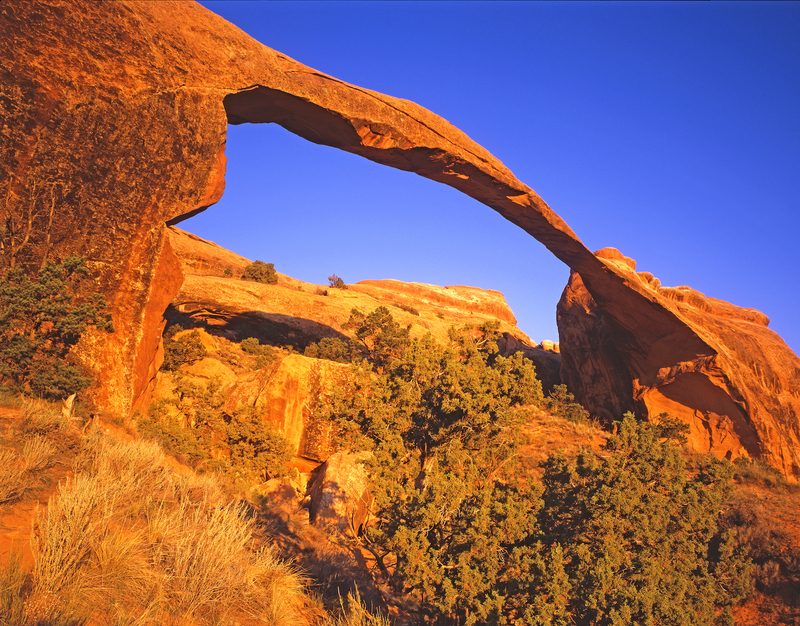 Although geologic history is stressed in every park, at Capitol Reef, it’s what defines it –- ranging from 80 to 270 million years old. Dana and Milo Breite from Shingle Springs, California, were as giddy as two kids in a video game store. “We’ve been collecting rocks and exploring geologic sites together for decades, and this is one of the highlights of all our excursions,” exclaimed Dana. Expanding on the theme, a 10-mile scenic drive through the park furthers the geologist’s perspective. Mile by mile, and layer by sedimentary rock layer, our driver detailed what weather patterns, geographical changes, erosion and other influences coalesced to create the nearly 200 million years of geologic history through which we were passing. A stroll along the Grand Wash River bed nearby, so narrow in parts you can touch both canyon walls at the same time, evoked old western film images of the lonely cowboy out on the trail. Here cinema meets cinema verite. This is Butch Cassidy country. He used to ride along this same stream bed (though it had water in it, then) and hide among the cavernous cliffs overhead –- now called, not surprisingly, Cassidy Arch. A park away, Stan Weintraub of St. Augustine, Florida claimed he could spend hours in Bryce Canyon just looking at the hoodoos and assigning them different imaginary configurations. “You can write books about what you think you are seeing,” offered Stan. 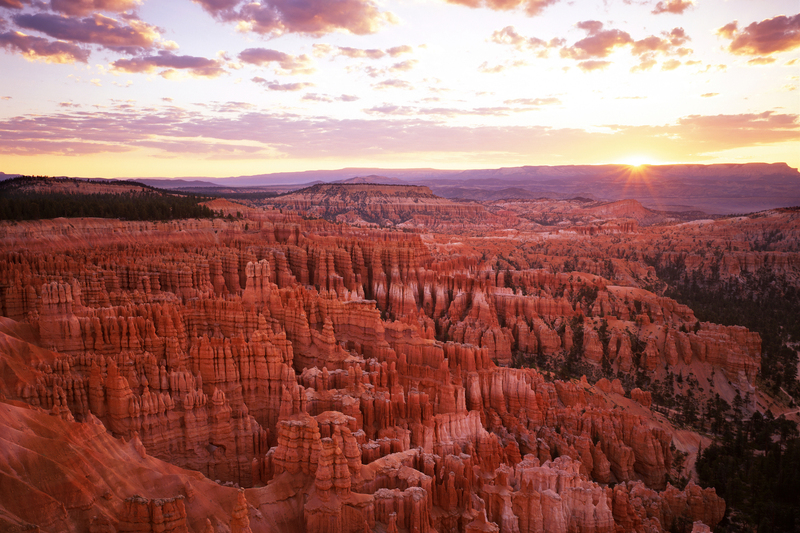 Bryce Canyon is synonymous with hoodoos — phantasmagorical images emerging from weird and wonderful rock formations. There are thousands of the little (and not so little) guys in all shapes, colors and sizes. The park’s unique rain and ice patterns sculpt these fanciful spires of rusted limestone; erosion at its most imaginative. 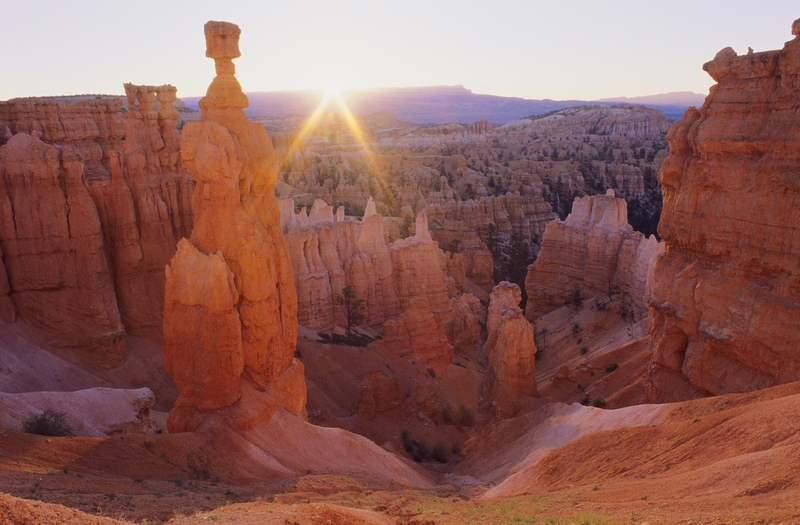 More than geologic oddities, hoodoos cast a magical spell on all who return their stony gaze. I recommend driving to taking the newly available shuttle; it covers only 5 of the 14 overlooks, thereby overlooking (in a negative way) Natural Bridge, Aqua Canyon and Rainbow Point, among the most memorable of the observation points. The color-intense view from Aqua Canyon — vivid coppers glowing in ochres and vermillion, vying with slashes of oranges and invading magentas — challenges the most expensive of cameras or cell phones to reproduce it accurately. Just below, sandstone statues of a Pioneer Woman with bustled skirt and Mad Hunter with Hat reign as king and queen over a hoodoo chessboard. Hiking brings an intimacy with surroundings impossible to experience from an observation ledge. Hikers way below negotiating in, around and through the hoodoo pillars resemble colorful, marching toothpicks. Ah, but the stories they will be able to tell as those “who knew the hoodoos” – well. Arriving at Zion reinforces the idea that each park is unique. At the other parks, your line of sight extends out toward the horizon as well as down into the canyons. At Zion, you look straight up -– and up -– and up. 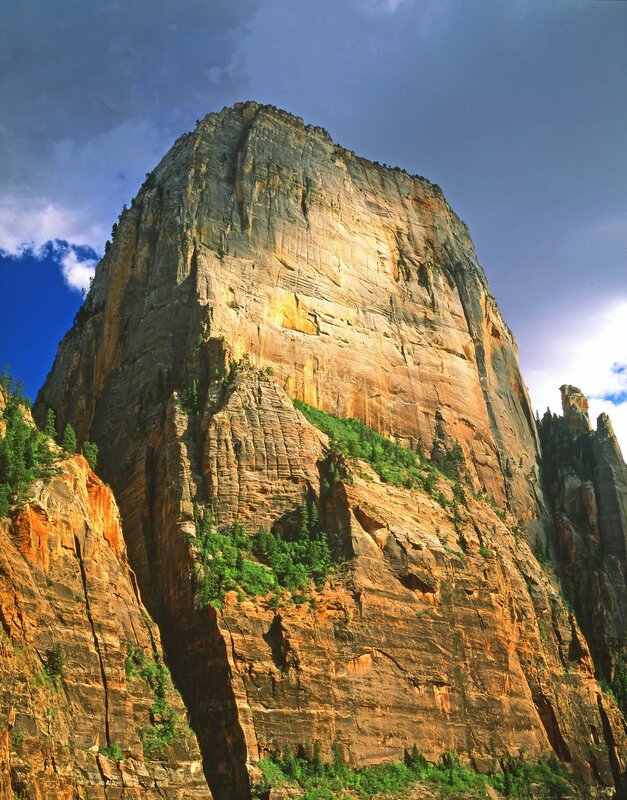 Towering cliffs –- some of the tallest in the world -– flank you on either side. You’re now on the canyon floor, looking up at straight, sheer masses of Navajo sandstone unencumbered by frilly outgrowths and hoodoo pillars. They meet the sky at a point that strains both the neck and the imagination. Water is an anomaly here, in contrast to the harsh drought of the other parks. The soft-running Virgin River, which accompanied me on many of the hikes throughout the park, is responsible for creating the huge rock gorges that encircle the park -– and it took only it 5-to-16 million years to do so. 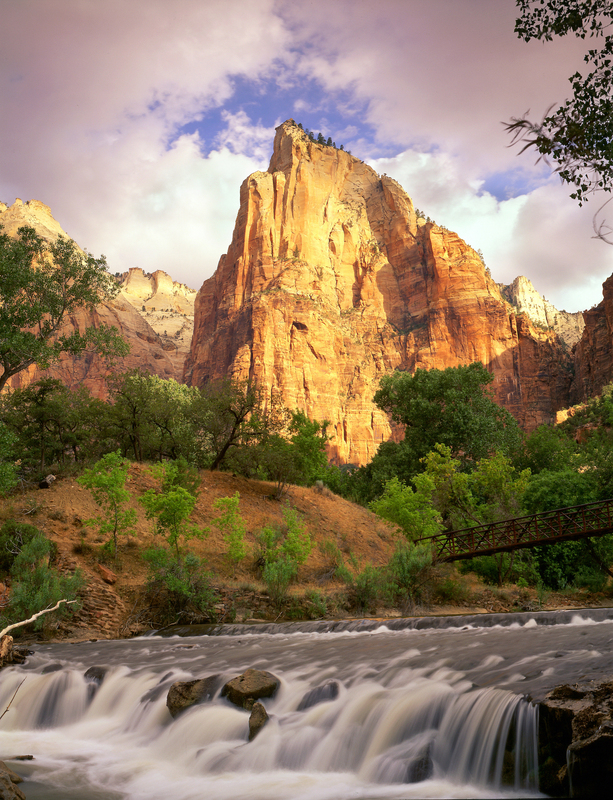 At Bryce, riding the shuttle is optional; at Zion, it’s mandatory -– the only way visitors may tour the park. Running at six-minute intervals, it takes you to eight stops which are simply starting points for further exploration by foot. Because you’re so close to the canyons, ‘towering’ replaces ‘expanse’ as the word of the day. Viewing options at Zion are more under-looks than overlooks. For those who are afraid of heights -– Zion is the park! Hiking provides even greater connection, and several of the paved trails are easily traversed. A short, albeit uphill, stroll leads to Hanging Gardens, where small waterfalls fed by springs high in the cliffs above tease plants and flowers directly out of the rock. The Riverside Trail hike passes through surprisingly lush vegetation to streams where you can cool your feet; skip stones with the kids; picnic or simply sit upon a rock and get lost in the scenery. The Virgin River makes its less-than-virgin run through and over rocks, emitting self- satisfied sounds as a backdrop to the reverie. Visitors, depending upon personal preference, can start in Zion and head north for increasingly spectacular views (my choice); or begin at Arches and drive south to save the best for last, as many consider Zion to be. Either way, it is impossible not to be enthralled by the unimaginable replay of expansive beauty and scenic motifs that present themselves in so many different ways from one park to the other. 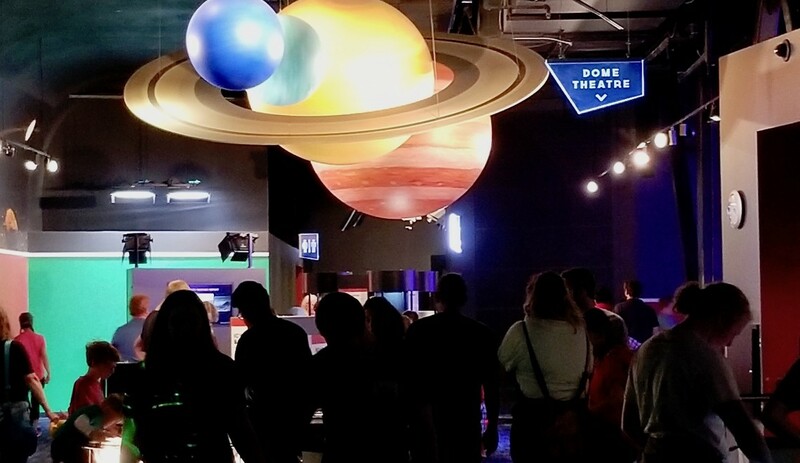 For more information, call the Utah Office of Tourism at 800/200-1160 or check the website at VisitUtah.com. 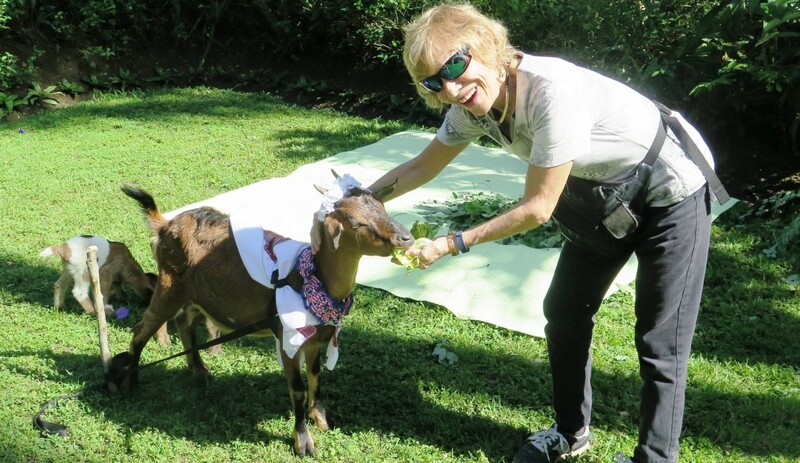 Fyllis Hockman, a frequent contributor to FAB Senior Travel, lives in the Washington D.C. area. She is an established, award-winning travel writer and a member of Society of American Travel Writers member since 1992. She has been traveling and writing for almost 30 years.